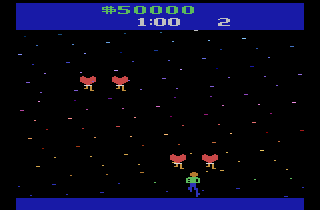 OverviewAn Atari 2600 game where you help the Band Journey escape from Groupies, Sneaky Photographers and Sketchy Promoters to reach the safety of the Van. You have allies like roadies and your trusty manager to help you along the way but the ESCAPE is up to you. The object is to get each member of Journey to their limo. You must dodge flashing lights, fences, and fans. This game is surreal. The kool-aid man appears in this game. Now you can add videos, screenshots, or other images (cover scans, disc scans, etc.) for Journey Escape (1982) (Data Age) (112-006) to Emuparadise. Do it now! If you haven't noticed yet, we have a retro game of the day feature (top-right of the screen) wherein we feature a new retro title every single day! Now, you can vote for your favorite games and allow them to have their moment of glory. 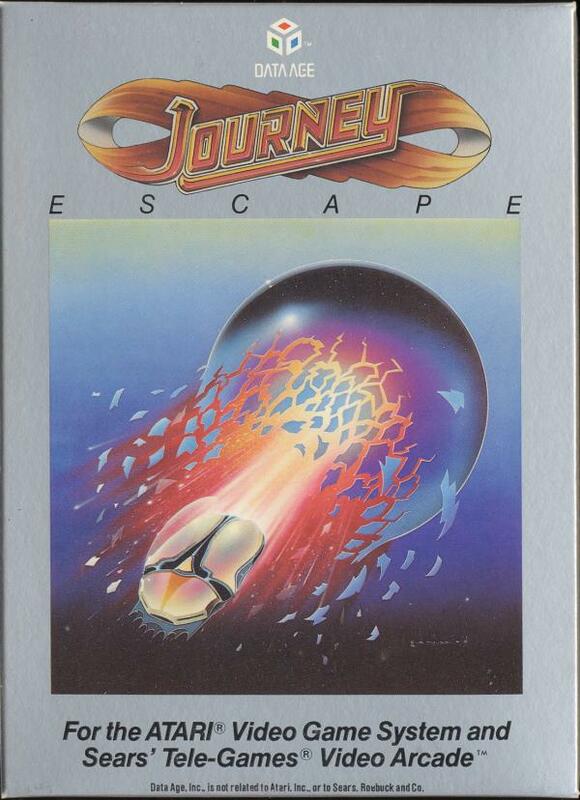 Click on the button below to nominate Journey Escape (1982) (Data Age) (112-006) for Retro Game of the Day.